After receiving a Good Design® Selection Award, Everdure by Heston Blumenthal has gone on to receive a Best in Category Award for the Charcoal Range, in the Product Design: Domestic Appliances category. “Flawless design. Every detail of this product has been meticulously designed with the end user in mind. The unique aesthetic will set this range apart from anything else on the market. The Jury applauds the clever solution devised for the rotisserie feature”. The Charcoal range includes a number of world-first innovations, including a Fast Flame Ignition System™ within the HUB™ and FUSION™ models to ignite charcoal at the press of a button, as well as the Rotiscope Technology™ featured in the integrated rotisserie, allowing adjustable rotisserie heights and powered by a discrete motor. 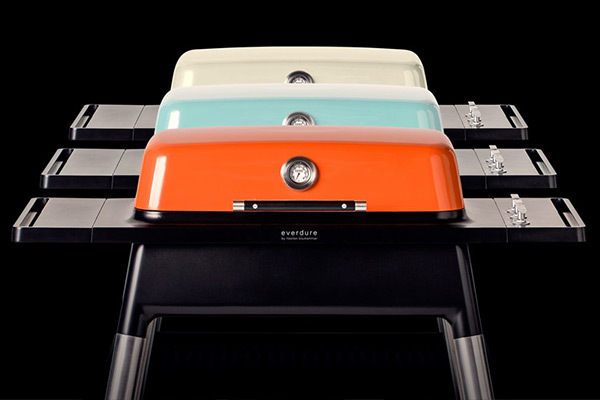 In launching this product range, the Everdure by Heston Blumenthal team sought to improve the barbeque experience by merging inspiration, experimentation and rigorous testing with design. We are very proud this approach has led to Everdure by Heston Blumenthal receiving a Good Design® Selection for both the Gas & Charcoal Barbeque ranges, and a Best in Category Award for the Charcoal range. “I’m absolutely delighted that our products are being recognized by professional bodies worldwide, as well as by consumers. It just reinforces our belief that design is a major factor in consumer decision making and inspires us to keep moving forward”. 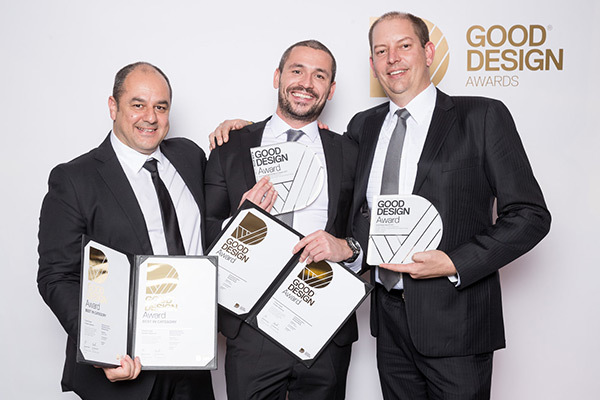 The Good Design Award® Best in Category 2017 was announced during an Award’s Ceremony last night on the 8th June, which marks the beginning of the Good Design Festival and is aligned with Vivid Sydney to showcase the best in product and industrial design, architectural design, digital and communication design, design strategy, service design and social innovation. From its inception in 1958, the Australian Good Design Awards has a strong history of promoting & celebrating outstanding design on both an Australian & International scale. The Everdure by Heston Blumenthal brand continues to gain resonance in Australia, as well as internationally, recently being ranged within UK retailers John Lewis & Selfridges, as well as within Danish retailers Illums Bollighus & Magasin. In Australia, the Charcoal and Gas ranges are available from Harvey Norman Furniture, selected Bing Lee stores and independent barbeque specialists and Appliances Online. The charcoal range is available from Bunnings and selected David Jones stores. An Amazing Top Hat to Celebrate!